According to Syrian locals, the notorious White Helmets have arrived with chemicals, protective gear and cameras to militant-controlled Idlib in Syria in what they claim is a preparation for another false flag attack. Worried locals told the Russian Reconciliation Center they witnessed a convoy of six vehicles, bearing the familiar emblems of the White Helmets, arrive in the capital of Idlib province over the weekend. 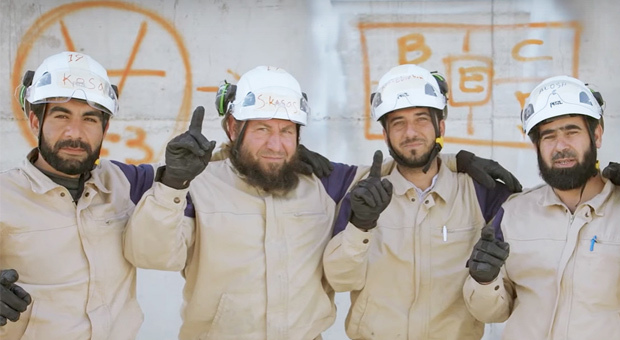 Last week, Neon Nettle reported that White Helmets group had been granted an addition $6.6 million in funding from the US Government. 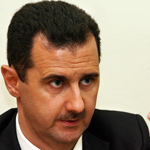 The western-trained military organization, who has been accused of orchestrating false flags attacks on Syrian civilians, now has its funding restored by the United States. According to RT: A convoy of six vehicles, bearing the emblems of the White Helmets, reportedly arrived in the capital of Idlib province over the weekend, the head of the Russian Reconciliation Center, major general Aleksey Tsygankov, told journalists on Wednesday. One of the trucks was loaded with missiles and canisters containing unknown substances, as well as protective gear and filming equipment. 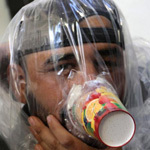 Local residents reported seeing four persons, wearing hazmat protection gear, filling the warheads with this liquid and some unknown powder. The convoy then reportedly left for the small town of Maarat al-Numaan, south of the city of Idlib. White Helmets have on several occasions become the first to provide footage of alleged chemical attack sites in Syria and the aftermath scenes, including the Khan Shaykhun and Douma incidents. 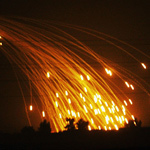 Their photos and videos served as solid-enough proof for the US and its allies to immediately conduct ‘retaliatory’ strikes against the Syrian government forces in April 2017 and in April 2018. 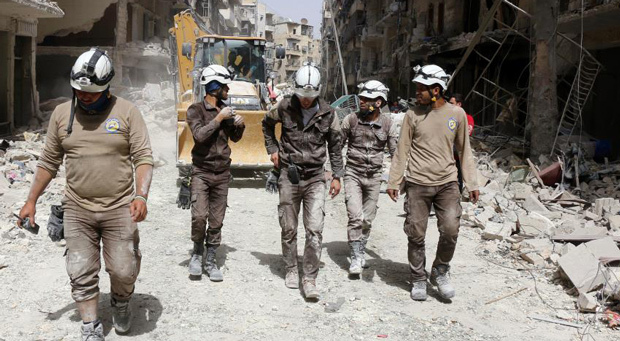 The self-styled volunteer first-responders have also been mired in controversy by their links to al-Qaeda terrorists and other extremist groups in Syria. The group operates exclusively in militant-held areas of Syria, and its members have repeatedly been photographed and filmed fraternizing with jihadists. Despite all the controversy, the group is praised as heroic by the mainstream media and receives funding from Western governments. 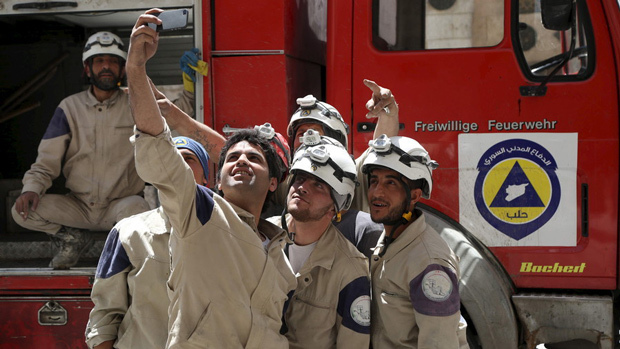 While Washington briefly stopped financing the group, it apparently soon realized their usefulness and released $6.6 million for the “vital, life-saving operations” of the so-called Syrian Civil Defense activists. London also vowed to keep financing the group, while the British Prime Minister Theresa May even pledged to increase their funding.